EVERBUILD STIX-ALL 80ml Is a One Part, chemically curing solvent free sealant and adhesive combining the best qualities of silicone and polyurethane technologies. 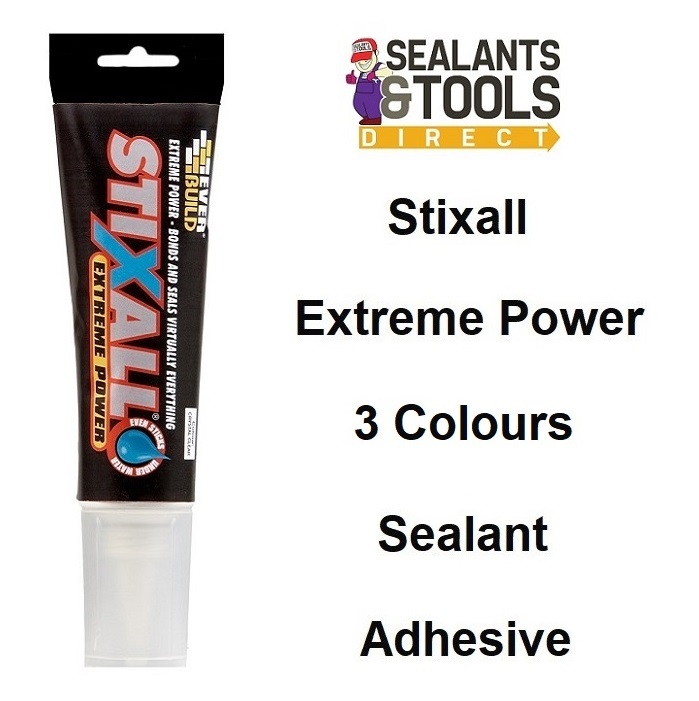 Gives excellent primer less adhesion to most surfaces, including metals, most plastics, glass, concrete, plaster, plasterboard, polyester, Perspex, glass, wood, enamel, painted surfaces etc etc. Sealing and bonding in almost every application imaginable the following are just some examples. Suitable for mobile structures such as caravans and boats.